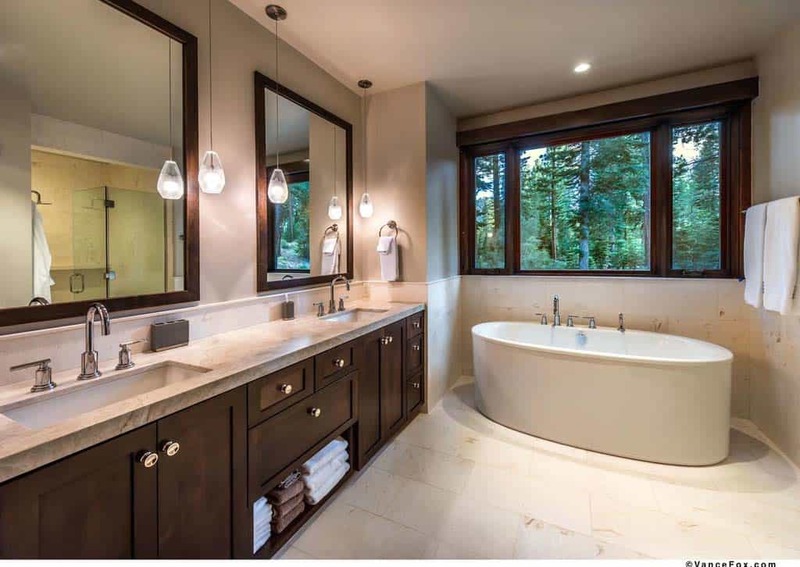 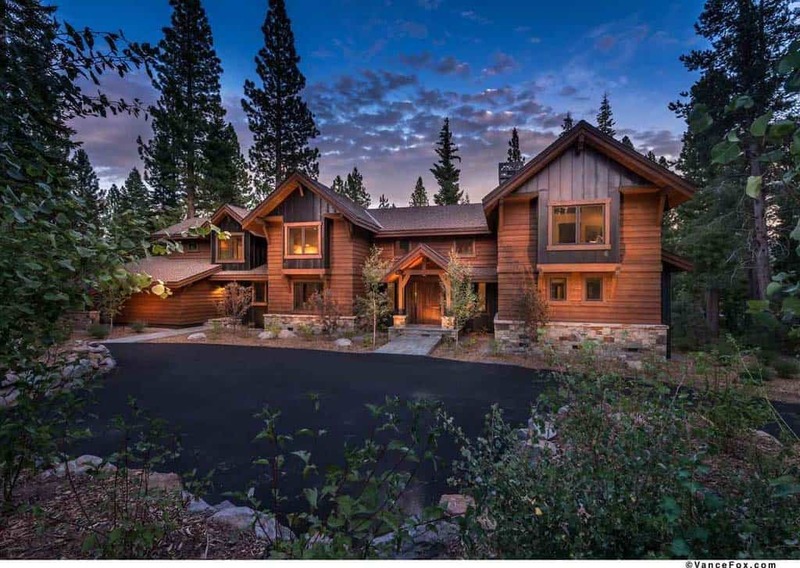 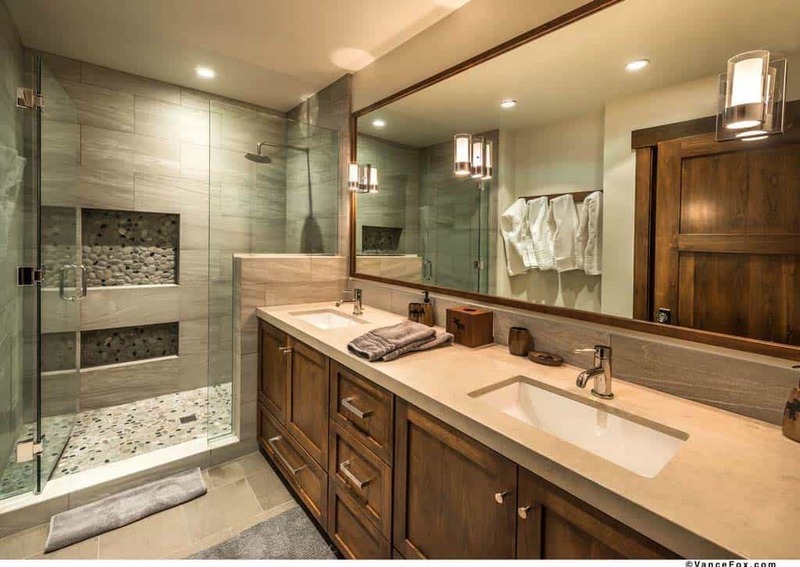 This beautiful custom estate mountain home was designed by Ward-Young Architecture, located in the private neighborhood of Martis Camp, Truckee, California. 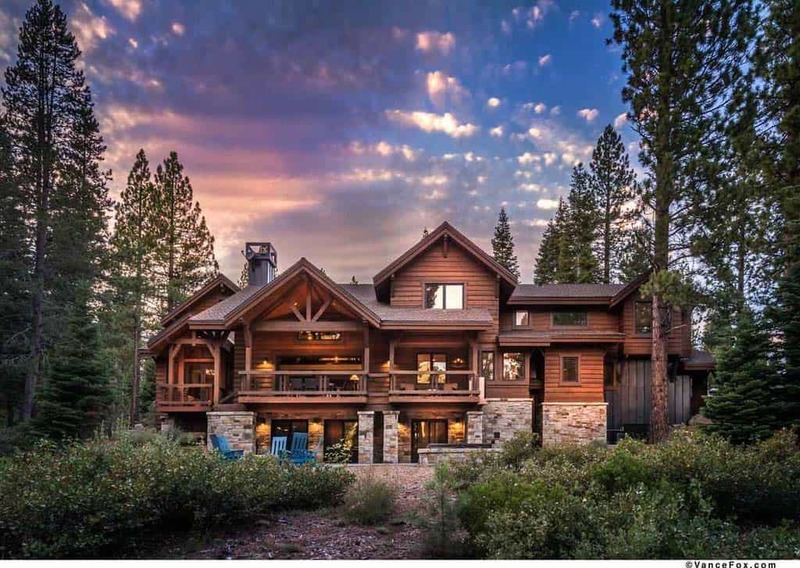 Outside, the exterior facade emulates a Tahoe lodge aesthetic, composed of materials of cedar and stone. 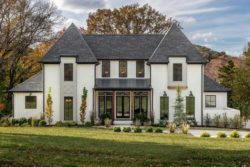 Inside this three-tiered home built by Setter Construction you will find sumptuous living and entertaining spaces consisting of 5,417 square feet, with five bedrooms and five-a-half bathrooms. 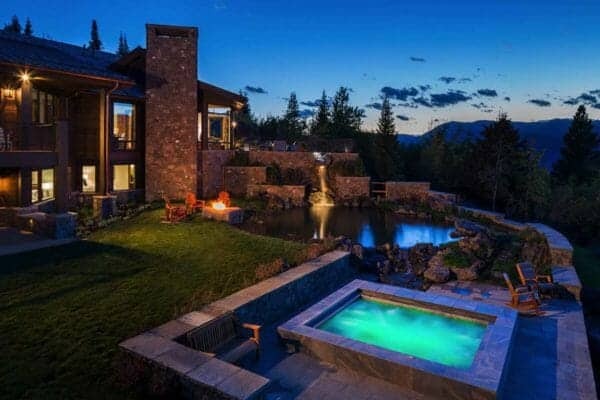 The ground level opens out to a generous covered lounge area with a fire pit and hot tub offering a relaxing oasis. 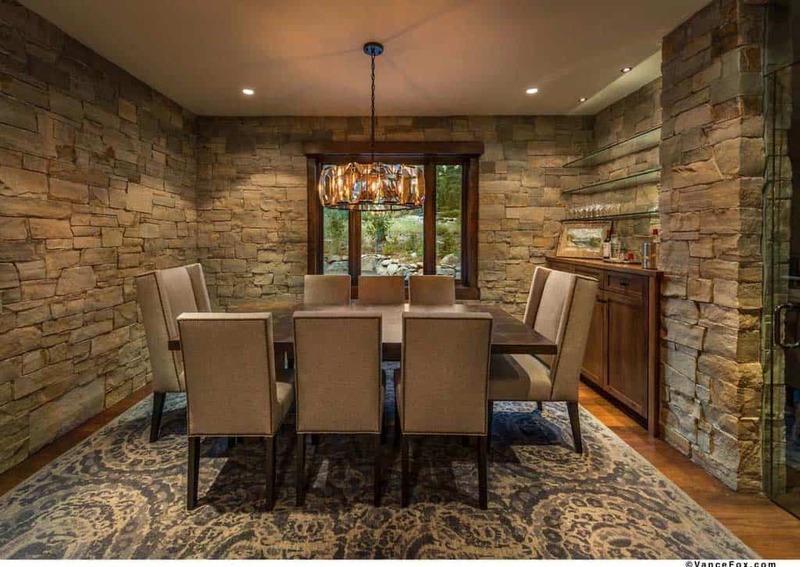 Inside, an exquisitely designed great room with soaring Weiland sliding doors opening to an extensive deck for dining el fresco and soaking up the incredible views. 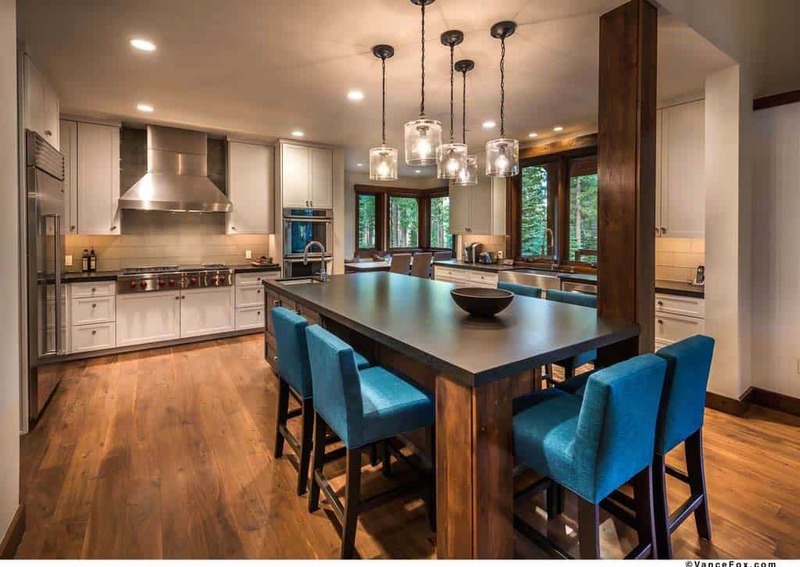 Also featured on this level is a kitchen featuring custom alder cabinetry and an eat-in island perfect for entertaining, stone clad formal dining room with a wine cellar, an office with a loft space and a mud and ski boot room. 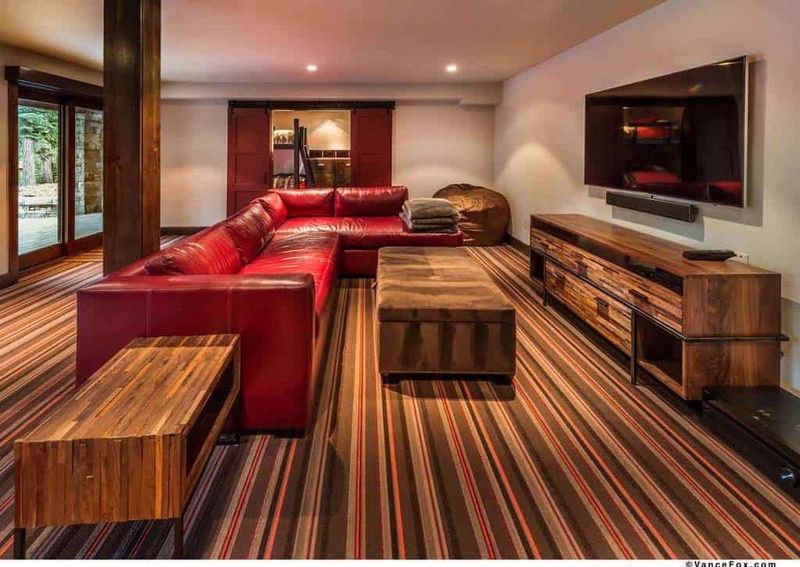 The third floor encompasses four generous en-suite bedrooms, a media area perfect for curling up to watch movies or read a good book. 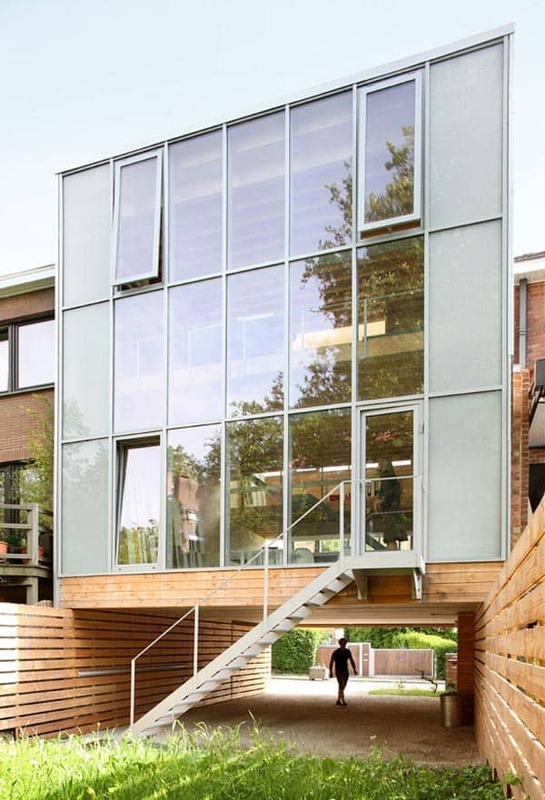 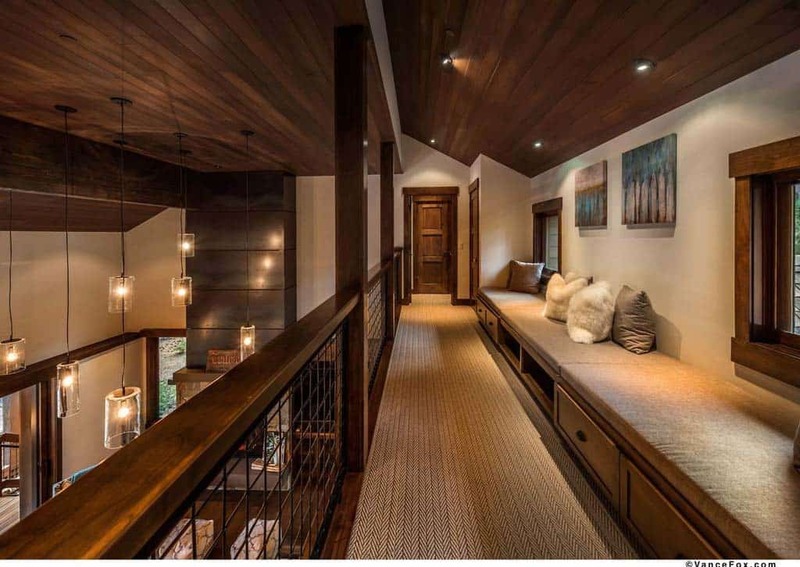 The home also features a separate wing composed of a bunk room and its own private living room, perfect for hosting overnight guests. 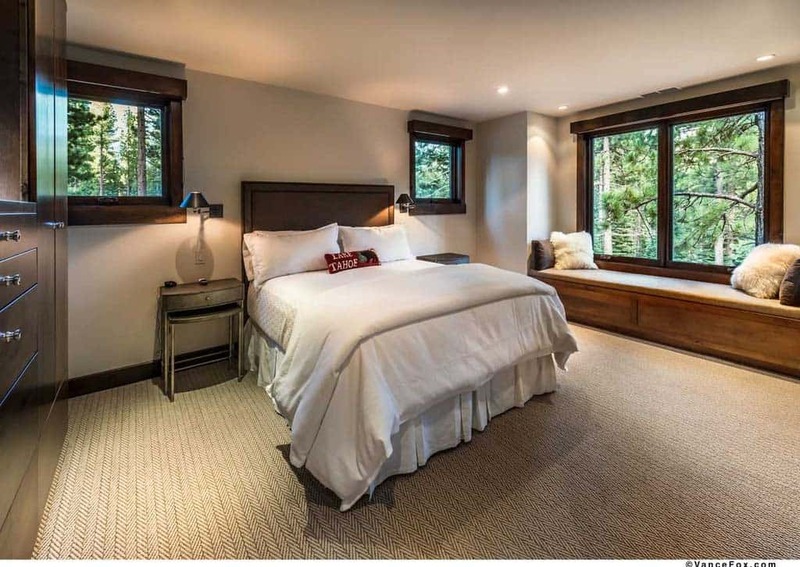 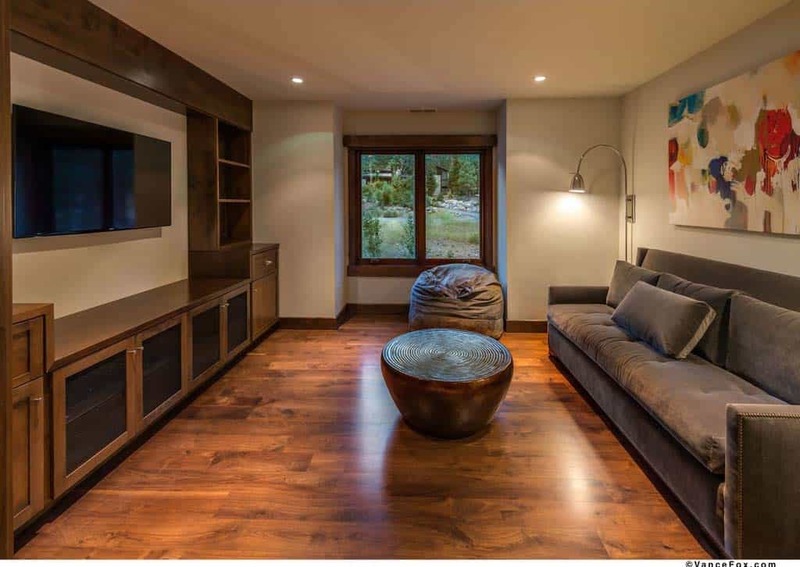 With an abundance of personality and natural light witnessed throughout this dwelling, walnut flooring and granite countertops complete this mountain lodge aesthetic. 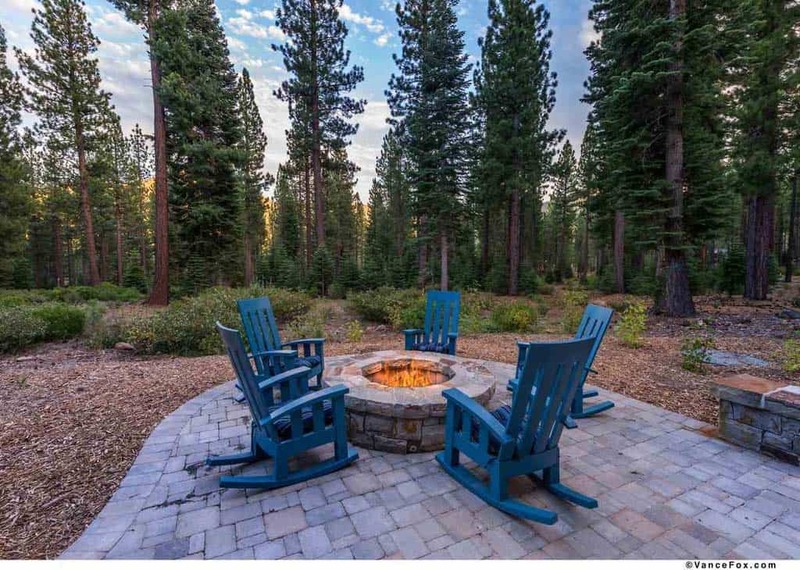 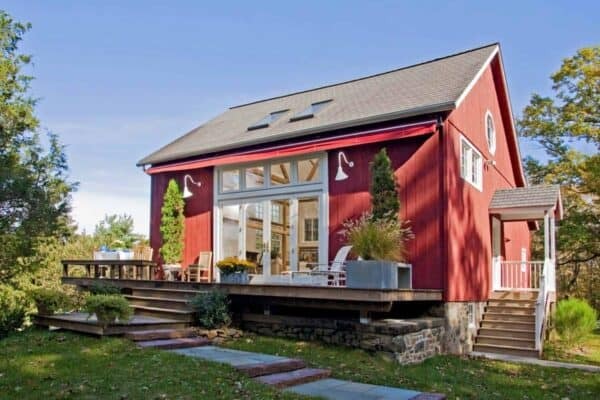 The best part about this mountain retreat, is the surrounding forested landscape is just outside your doorstep! 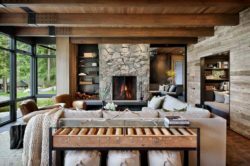 What We Love: This mountain retreat features warm and cozy living spaces thanks to material elements of wood and stone. 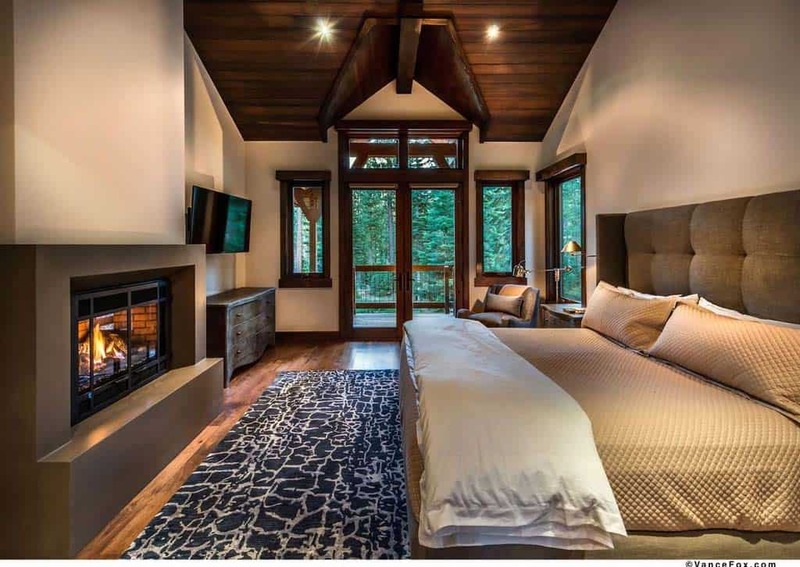 The inviting surroundings makes this the perfect four-season retreat to relax and enjoy the beauty of nature. 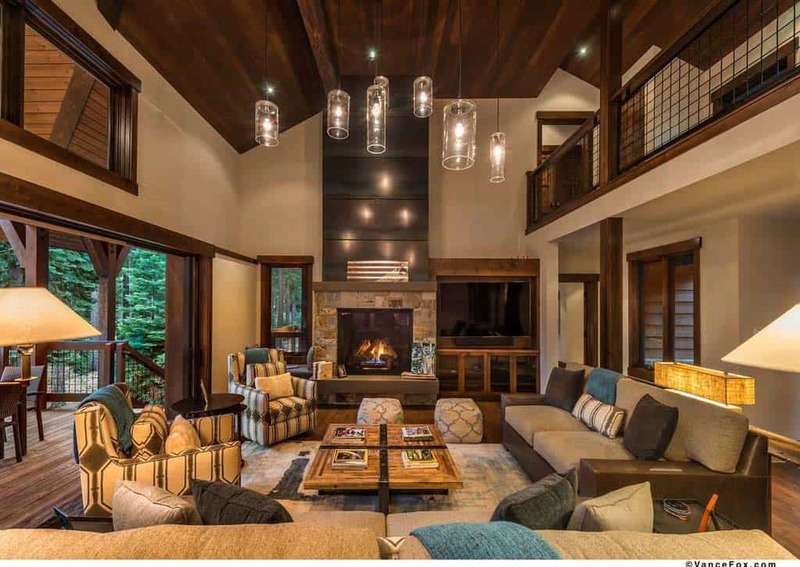 A layering of cozy textures adds to the overall warmth of this dwelling… Readers, please share with us what you think of the overall design of this mountain home in the Comments! 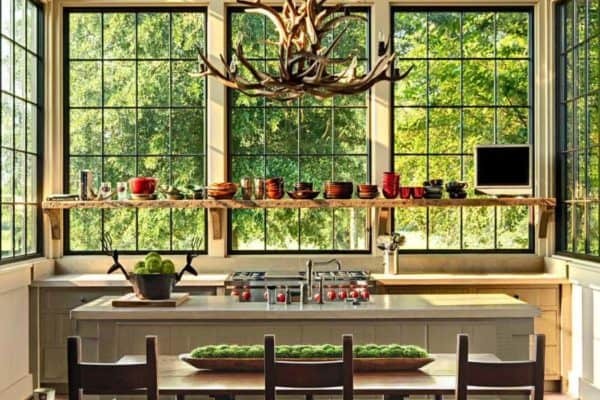 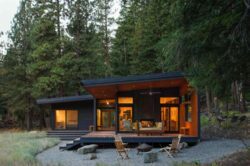 Note: Here on One Kindesign we have featured some other amazing mountain homes by Ward-Young Architects that we thought you will also find inspiring: Fabulous Mountain Modern Digs in North Lake Tahoe and New York loft meets mountain modern living in Lake Tahoe.